A gorilla costume is not complete without a giant banana. When you order a gorilla costume for Halloween or your next costume masquerade party then be sure to pick one up. 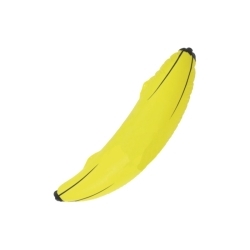 This jumbo inflatable banana is colored as pictured. Banana measures 28" in length.